Amusing cartoons and a matching game designed to help students remember 100 phrasal verbs. As far as I know they’re a different hundred in each! A one-man activity-writing/worksheet-producing machine, and everything I’ve tried so far has been good quality! A collection of FCE resources for students and teachers which I recommend, including among other things a link to FCE: The Musical!, a 60-minute webinar by Andy Scott with lots more ideas of ways to make exam preparation interesting. 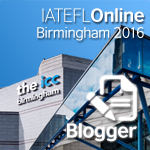 Various FCE activities I’ve shared on my blog, many of which could be adapted to other exams. Richer Speaking is my ebook, which includes a section with activities for extending speaking, aimed at encouraging students to produce longer stretches of language. This is especially useful for the picture tasks in Cambridge exams. 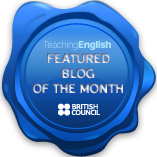 Emma Gore-Lloyd has a range of Cambridge exam activities on her blog. One of my favourites uses pictures as a prompt to remember pairs of sentence transformations. One of my all-time favourite resources, which is great for vocabulary learning in general, and which can be exploited for Use of English practice too. 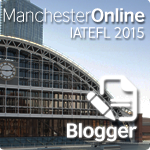 How to use Quizlet, including links to classes/groups organised by CEFR level. This presentation was part of the Tip-Top local conference in Sevastopol which took place on May 10th, 2014. There’s a video from the conference, with photos from my presentation from about 1:00-1:30. I shared activities to help students prepare for the KET, PET and FCE reading exams. If you have other activities you like using, why not share them in the comments? They were taken from the official Cambridge handbooks for Key (KET), Preliminary (PET) and First (FCE), which are all free to download from the Cambridge ESOL site. The listening book mentioned on the third slide is ‘Teaching and Learning Second Language Listening: Metacognition in Action ‘ by Larry Vandergrift and Christine Goh. The signs used for KET and PET were taken from ELTpics, used under a CC Attribution Non-Commercial license. 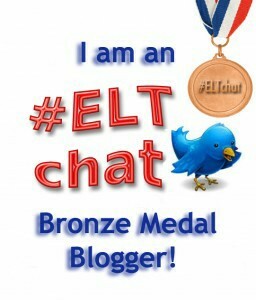 ELTpics is a collection of over 18,000 images (as I write this) shared by teachers and other education professionals from all over the world. They are arranged into categories, for example ‘Signs‘, ‘Rooms and Furniture‘ and ‘Every Picture Tells a Story‘. The photos used in the presentation were taken by Scott Thornbury, Victoria Boobyer, Mike Harrison, @silpico, Adam Simpson, and me! my diigo list of exam-related bookmarks, which I constantly add to. You can narrow it down by clicking ‘+’ next to any of the sub-categories on the left. For example, clicking ‘+’ next to ‘FCE’ will show you only my FCE links. I’d like to thank David Dodgson, Hada Litim, Maria Theologidou, Olga Stolbova and Damian Williams for their help in putting together this presentation. My FCE students sounded really stilted when they tried to do this speaking part 3 in class today (taken from the FCE Gold Plus student’s book, page 87). If you don’t know FCE, this part involves looking at 5-8 pictures and answering a question about them, then coming to some kind of decision. There were three of them, and despite having phrases for turn-taking and ideas on the topic, they struggled to talk for three minutes, and sounded incredibly unnatural, with long pauses while they tried to work out what to say. I described interactive communication and how people work together to come to a decision, and suggested they watch out for it in the next film/TV show they watch in English. Then we talked about how they do it in Russian. I then had a brainwave: why not get them to do the task in Russian first? So that’s what they did, and wow! What a difference! They were talking over each other, finishing each other’s sentences, asking for opinions, and most importantly moving from one picture to the next quickly and efficiently. (Although I don’t speak Russian, a lot of the words for the electrical appliances they were discussing were similar enough to English for me to notice that!) In English, they’d taken a minute to discuss a single picture, and they should have done about three in that time! We talked about how they had spoken in Russian, and I mentioned how they had helped each other to build the conversation. 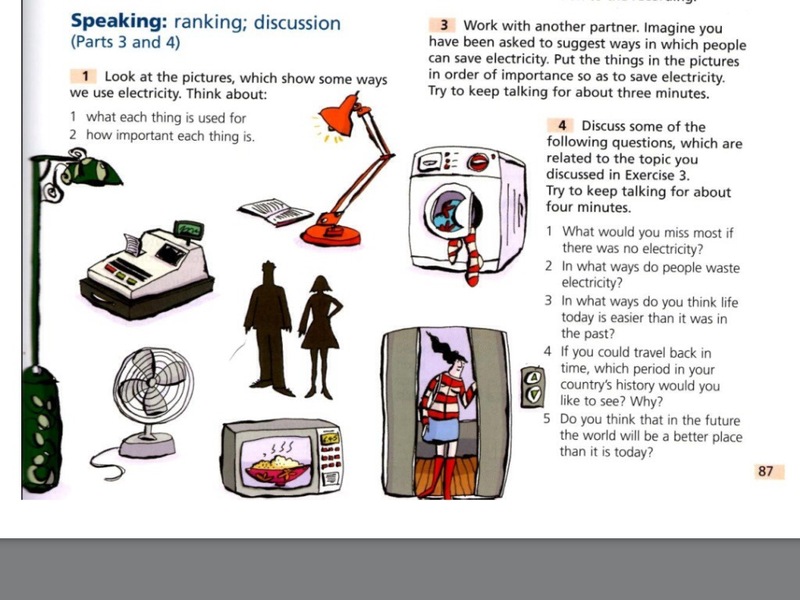 We then repeated the task one final time in English, and it was a huge improvement on their first attempt, with them carrying over a lot of the interaction from their Russian conversation. Of course, it helped that it was the third time they’d done the task too! Definitely something I’ll try again. Here is a worksheet I put together to help my students with some of the linking words of contrast which commonly come up in FCE Use of English part 1, and which they can use in their writing. The first page has rules for using but, however, nevertheless, although, even though, despite and in spite of. I know it’s not exhaustive, but it’s hopefully a good start! Do you have any other suggestions for helping students to understand the differences between these words? From September to December I taught an intensive Cambridge First Certificate (FCE) course, ready for the exam on December 10th. I had all 11 students for 15 hours a week, and 6 of them had an extra 10 hours. We didn’t use a coursebook, though I drew lots of activities from books like Complete First Certificate, FCE Result and First Certificate Expert. Throughout the course I adapted the way I was teaching, and I have lots of ideas for how I might change it if I taught it again. I thought these might be useful for other teachers preparing students for the FCE exam, so I’ll share them with you here. Here they wrote the verb, a definition and an example sentence which I elicited from the students. The page was divided into four columns: noun/verb/adjective/adverb. As well as the four forms given on the flo-joe page, we added as many other forms as the students/I could think of. This included an example sentence, again elicited from the students. We did this as a whole class activity and I wrote everything on the whiteboard for them to copy. On each page of notes, I encouraged students to highlight the phrasal verb, the key word for word formation, and anything which surprised them in the collocation (for example, a preposition which they didn’t expect). Here is an excellent example of the notes taken by one of the students. She also added to her list from other Use of English exercises. Some of the students also took advantage of other sections of the site, such as practice tests and the writing class. In the future, I would work with the flo-joe word bank from day one of the course, and I would also show students how to add to their list from U of E exercises done in class. Finally, I would build in a lot more revision of the words. We did some towards the end of the course, but this was not enough. I think it is one of the best website we can use to improve our English. Quizlet is designed to help students learn vocabulary in a fun way. It is very easy to create flashcards and share them with the students, and they can create their own if they want to. 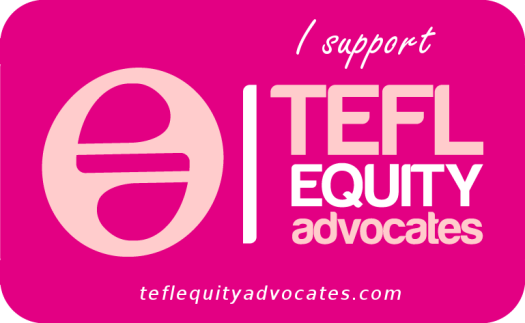 I set up a private group on the site for my class, which I have now made public so any FCE students can join it. Once students join, they can choose to receive an email notification every time a set of flashcards is added to the group. By the end of the course we had 50 sets, some covering specific lexical groups, while others contained random vocabulary from the lessons that week. 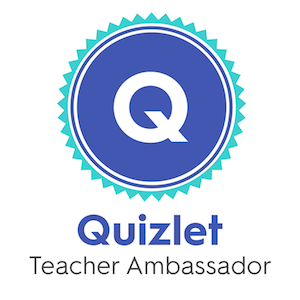 I encouraged students to access quizlet outside class, and printed flashcards directly from the site if students requested them. We also occasionally played games on it in sessions. In future courses, I would create more clear lexical sets, covering as many areas as possible that could come up in the exam. I would also revise the vocabulary more often in class, as only a few of the students used the site as much as I thought they would. It would also probably be a good idea to have more smaller sets, as some of them put students off by their size. We ended up spending a lot of time going over grammar rules in class, and when we weren’t doing that we were normally looking at lexical sets. For the first two months this left very little time for freer practice and exam-type tasks. I think it would benefit students more if they study the grammar and vocabulary at home, then practice it in class. For vocabulary, the teacher could record the pronunciation of words/phrases/example sentences, to be used in addition to an online dictionary like the Oxford Advanced Learner’s Dictionary. A recording would give the students all of the vocabulary in one place, and they could put it on an mp3 player/phone to listen to outside class. It would be better for students to do more exam-type tasks earlier in the course, and spend a lot more time reflecting on them. This might be hard to manage, but is something to experiment with. Many students’ least favourite part of the exam (if it’s not writing, it’s Use of English!) After I had introduced each text type in class, I gave the students a set of sample texts from First Certificate Expert. Rather than doing it this way, it would have been more effective to look at one text type a week, and give students as many examples as possible from writing banks as they are introduced. This should help students to get a much better idea of the differences between the genres, which was the most difficult thing for them to grasp. It would also give them lots of tasks to do if they want to. Over a twelve-week course, I would expect students to produce two or three pieces of writing every week. This may seem a lot, but they have seven text types to practice, and this would only give them about three attempts at each text type. I’ve already said it a couple of times, but it bears repeating. My course didn’t include anywhere near enough revision, as I often felt I was running to keep up! By encouraging students to look at grammar and vocabulary at home, class time could be used for recycling, instead of introducing language. Creating an overall course plan at the beginning would also have helped me to build in time for revision (I only managed to do this about a month after the course began). I really enjoyed the experience of intensively teaching this FCE group, though it did take over my life somewhat! I learnt a lot, and hope these lessons will be useful to others teaching FCE, regardless of their contexts.